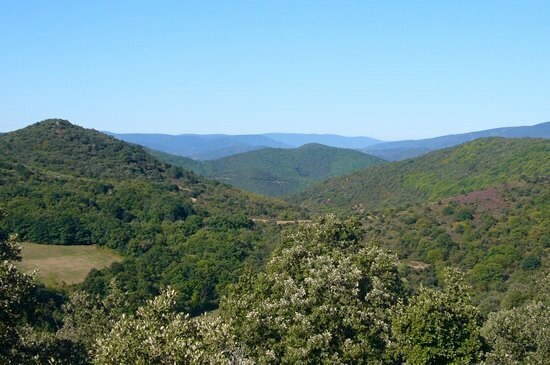 "La Voie Verte » “the Greenway of the Haut-Languedoc” is only 3.5 kilometres distance from the house. 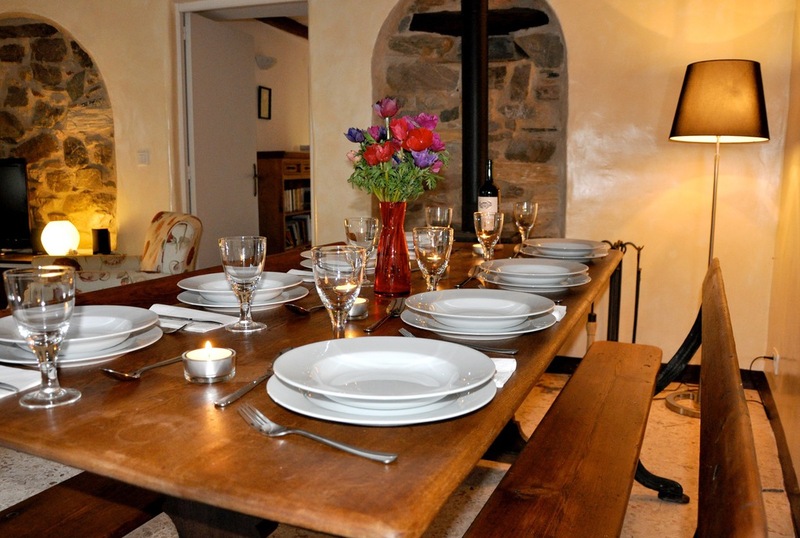 FACILITIES: Open plan sitting/dining room with wood burner and French windows leading to south facing terrace. 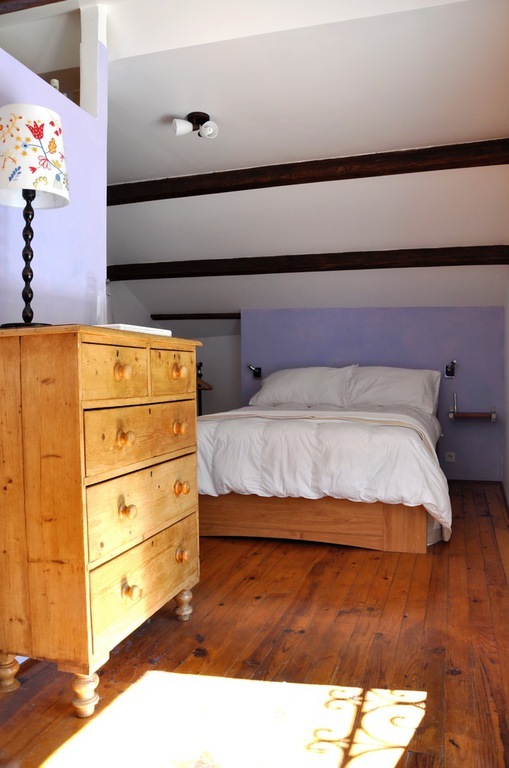 Five double bedrooms: Three on ground floor with shared full-sized bathroom and separate toilet. Two master bedrooms upstairs with en-suite shower rooms and upstairs living room. 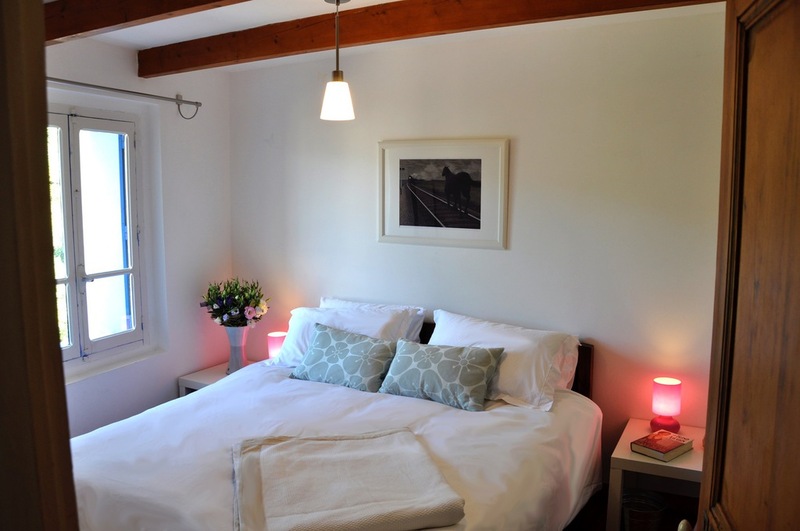 (Four double beds, 2 single beds.) Farmhouse kitchen with modern appliances and fittings. Floors are tiled on the ground floor and wooden on the upper floor. All windows are double glazed. Private parking. EQUIPMENT: UK HD satellite television, French TNT television, DVD player. High-speed ADSL broadband. Washing machine. Fridge/Freezer. Gas cooker and hob. Microwave Oven. Dishwasher. Central heating. Iron and ironing board. Garden furniture. Terrace. 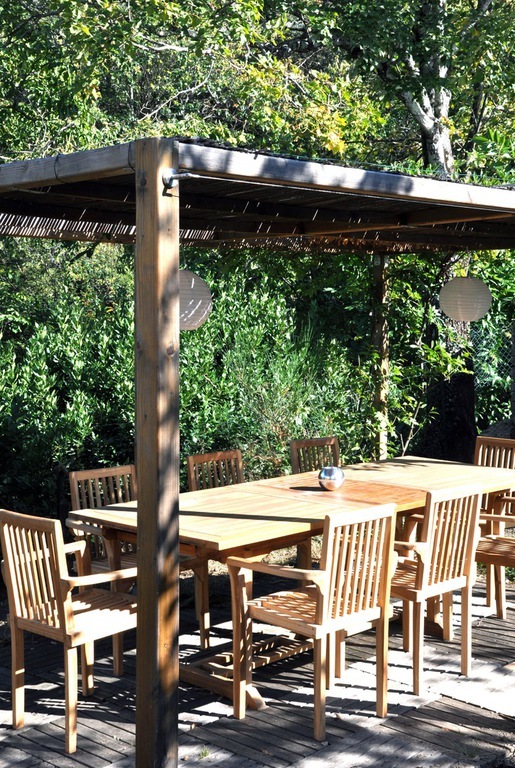 Pergola/Arbour with seating for eight. Barbecue. 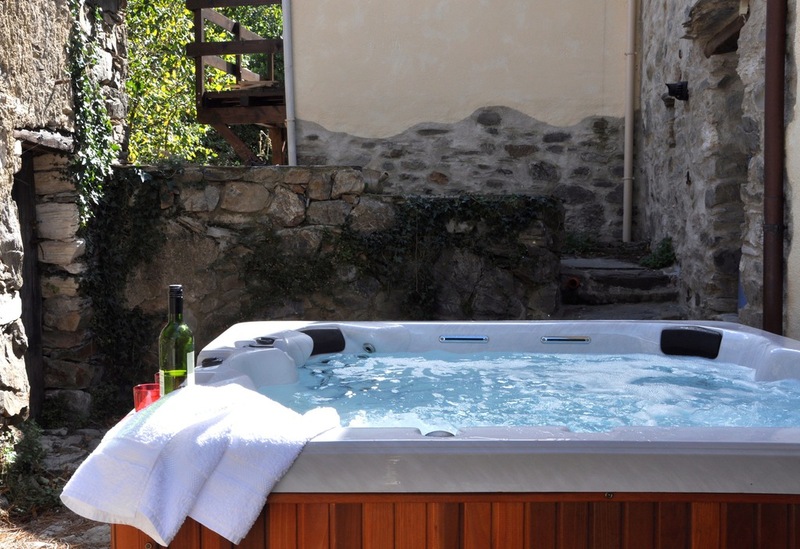 LUXURY FEATURES: Heated swimming pool (available from June to end September).Jacuzzi tub. 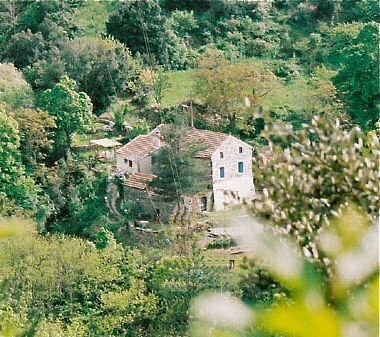 La Fumade is a traditional stone farmhouse in the rolling hills of the Languedoc, just above the Mediterranean. 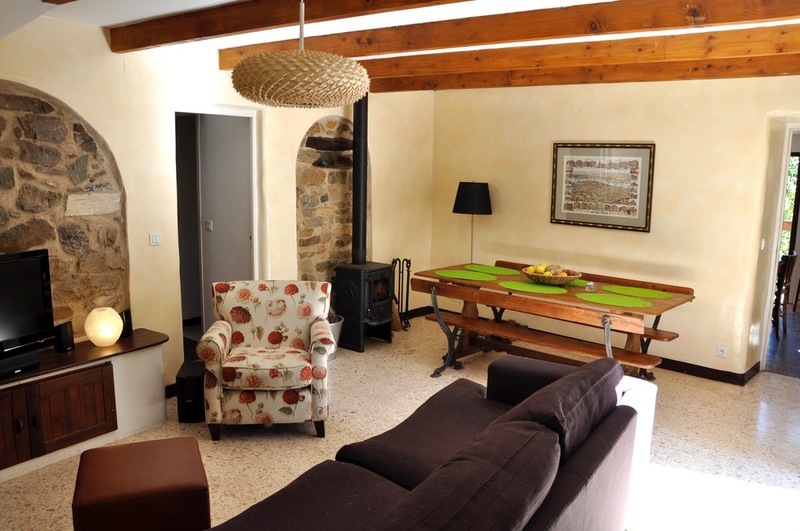 It is more than a holiday rental; it is peaceful retreat for you, your family, and your friends. 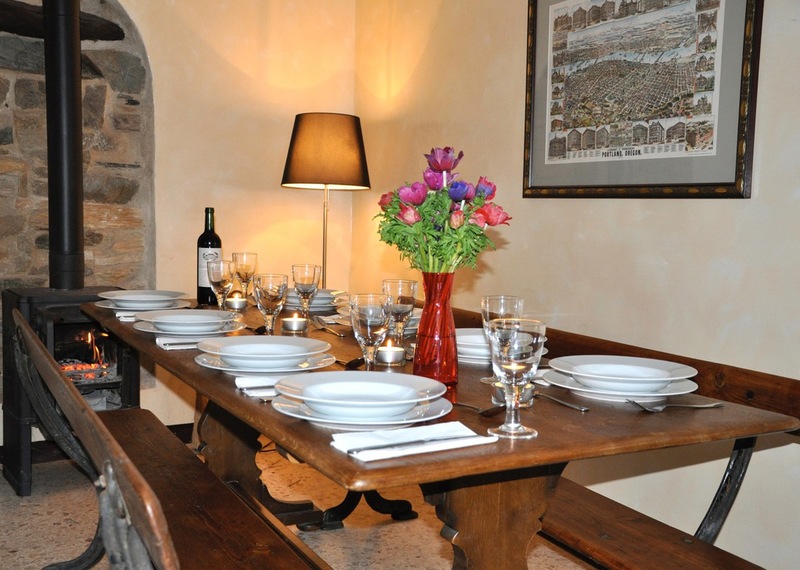 With five bedrooms and a private, heated pool, the house sleeps ten people in comfort and style. 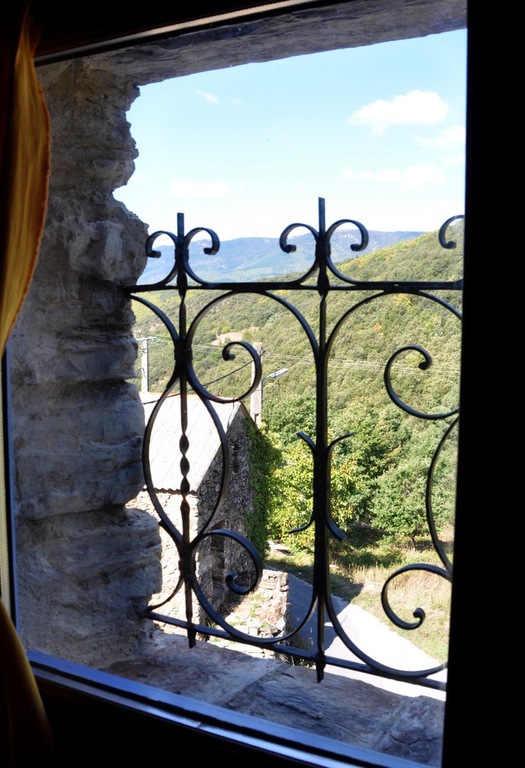 La Fumade is a large French farmhouse, renovated with everything you might need for a relaxing and comfortable holiday in the hills of southern France. 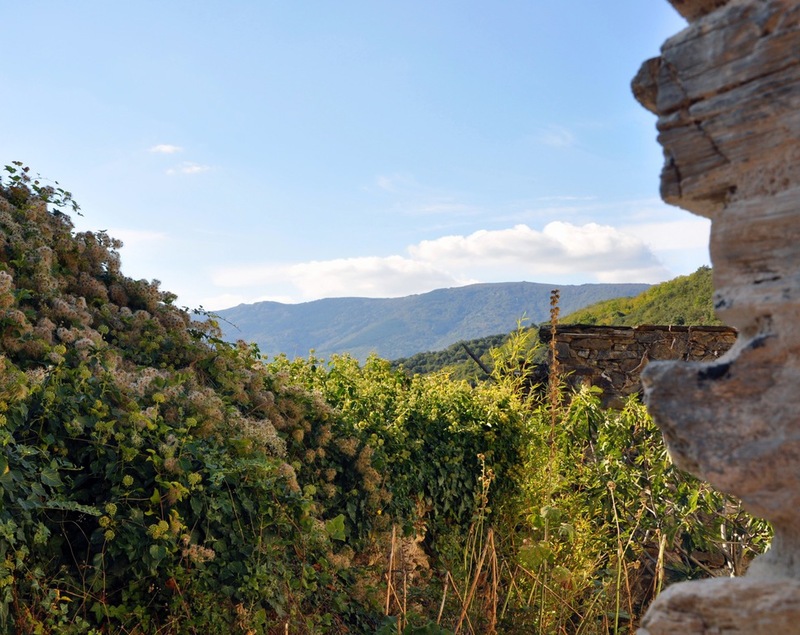 The garden borders a year-round stream and the house is surrounded by the protected forest, orchards, and mountains of the Haut Languedoc Natural Park. 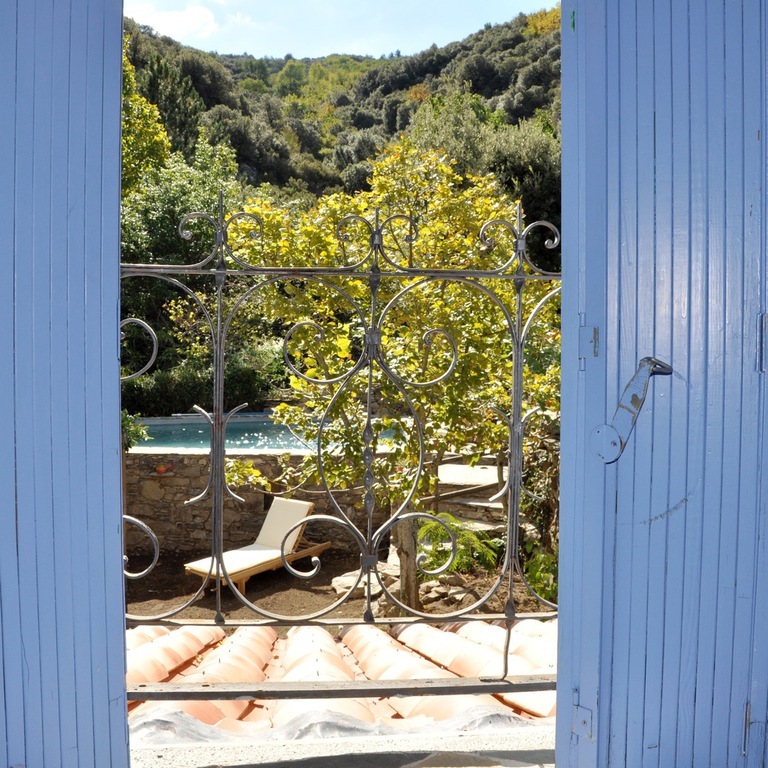 Just over an hour’s drive from the Mediterranean coast, the house gives you easy access to the sea as well as the rivers, lakes, mountains, and wineries of the Languedoc. The medieval village of Olargues, only a few kilometres away, is officially listed as one of the most beautiful in France. 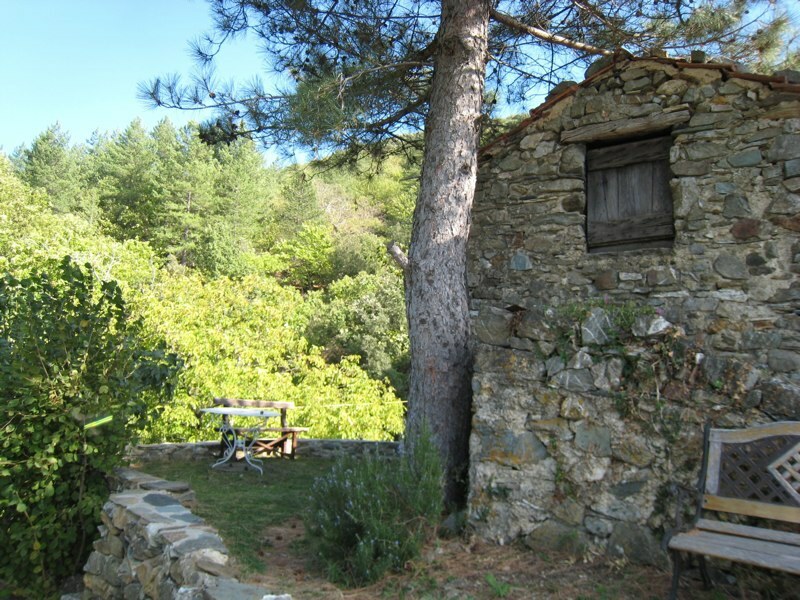 This rustic house is part of a small hamlet of three houses, situated on their own a short drive from the village. 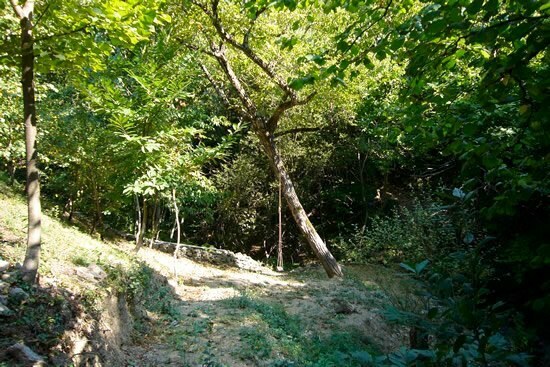 Nestled in the hillside, the house and garden are completely private, and the result is a quiet and secluded natural setting. The large stone house can easily sleep ten people, so it is perfect for big families, extended family get-togethers, or multiple families. With two separate living areas, there is plenty of room for everyone. 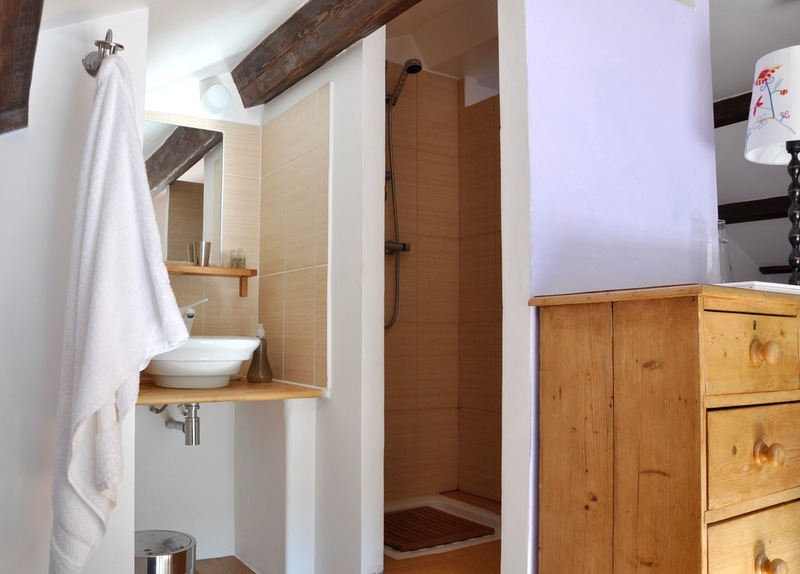 The three bedrooms downstairs share a large 5m² family bathroom. One room of 10.7 m² has two single beds, one of 9m² has a super king bed, and one of 8.8m² has a traditional, king-sized bed. 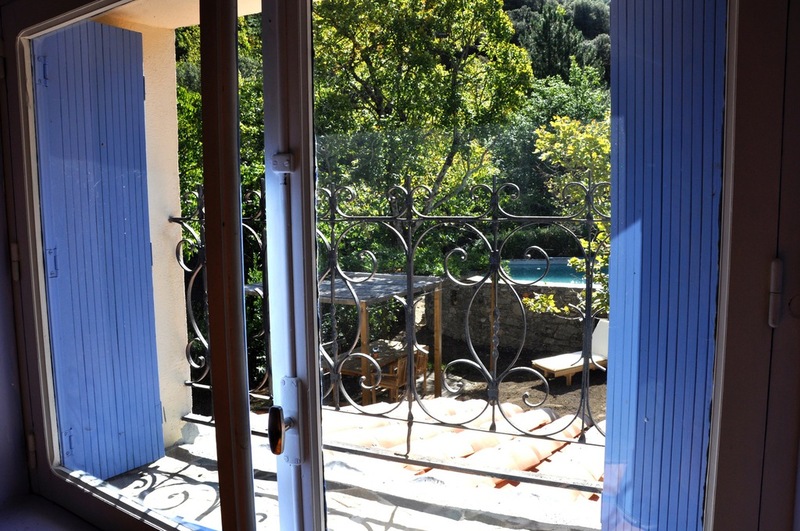 The comfortable 23 m² lounge/diner has large French doors leading out to the 10.5m² terrace, the garden and the pool. 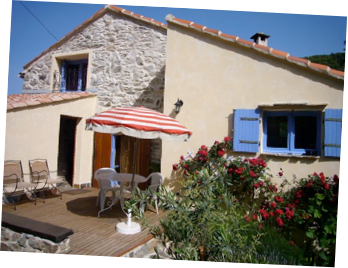 The adjacent 16.3 m² farm house kitchen is well equipped with fridge/freezer, cooker and hob. 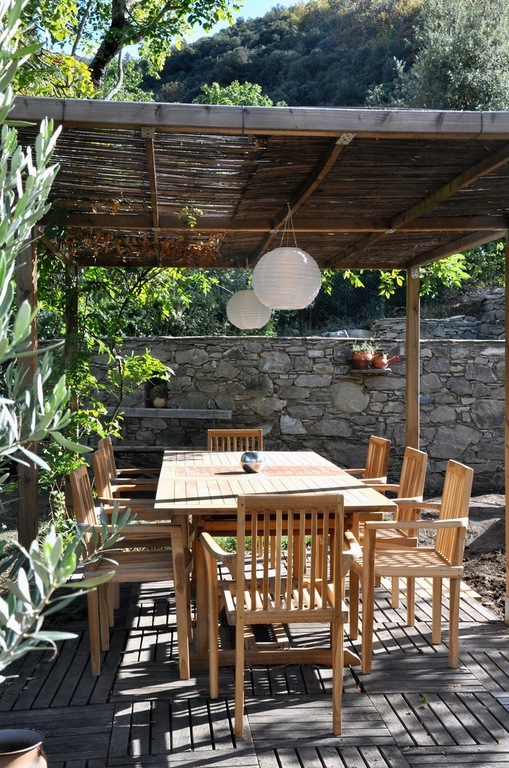 There is also a lovely outside dining area under the shady pergola in the 37 m² rustic garden. At the top of the garden you will find the 40m² pool with its unique design. A small additional 5m² side terrace provides a quiet corner in which to unwind. 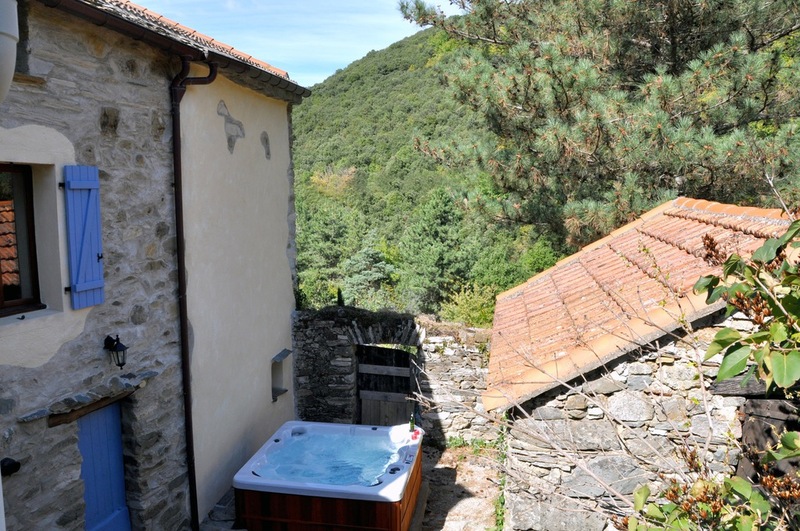 A luxurious outside Jacuzzi tub set in a hidden 24.5 m² courtyard, available all year round, is a soothing complement to the relaxed atmosphere of this lovely house. The first floor features two large master suites, each with a WC and shower. One 17m² suite has a double bed. 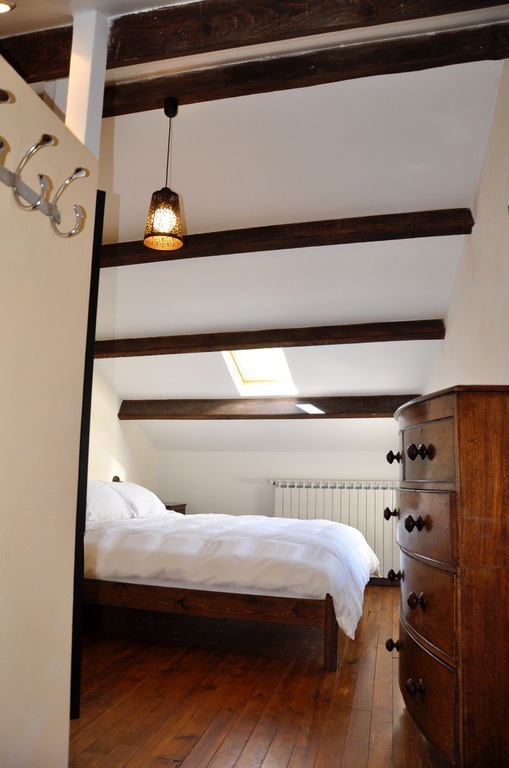 The other 18 m² bedroom has a super king bed. 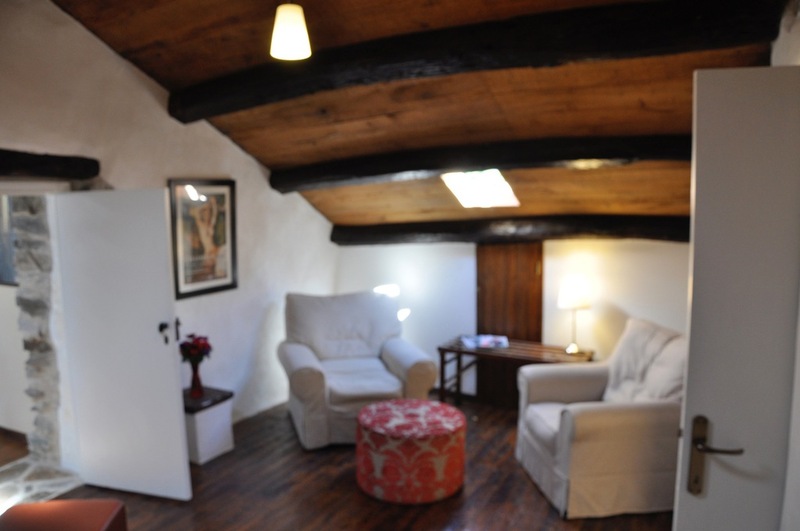 The two suites are connected by a 16 m² salon, which has two large armchairs--a perfect room for reading or playing games. 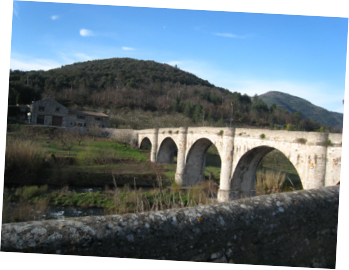 The house is easily accessed by air or by road from the UK, with flights available to several airports within an easy two-hour drive: Beziers (75 km), Carcassonne (85 km), Montpellier (135 km), and Toulouse (150 km). 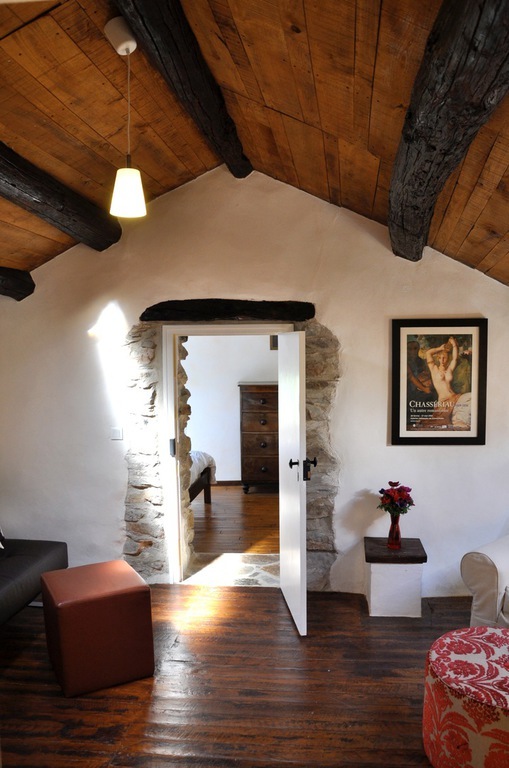 In a word or two…..
La Fumade offers a comfortable rustic retreat with plenty of character and all modern conveniences. 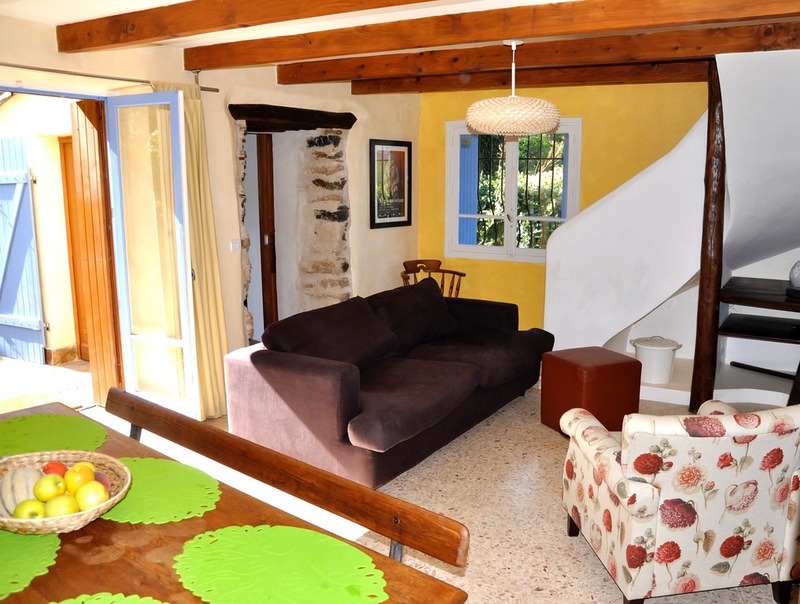 The large heated pool and Jacuzzi tub together with the pleasant garden offer a real haven from the business of modern life, whilst having access by a short drive to all the village services of Olargues. 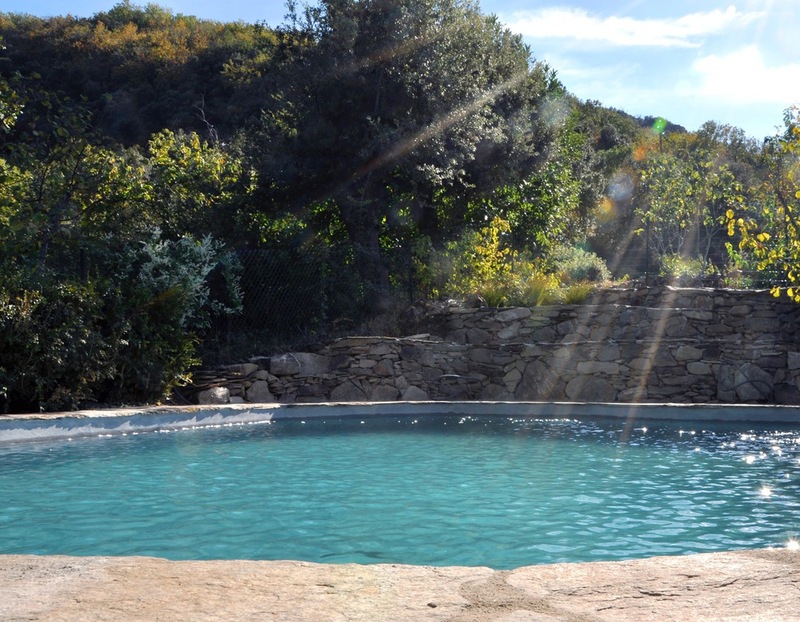 Swim in the private pool, relax n the jacuzzi or quite simply ……. relax! Whatever you chose to do you will go home with many lovely memories.